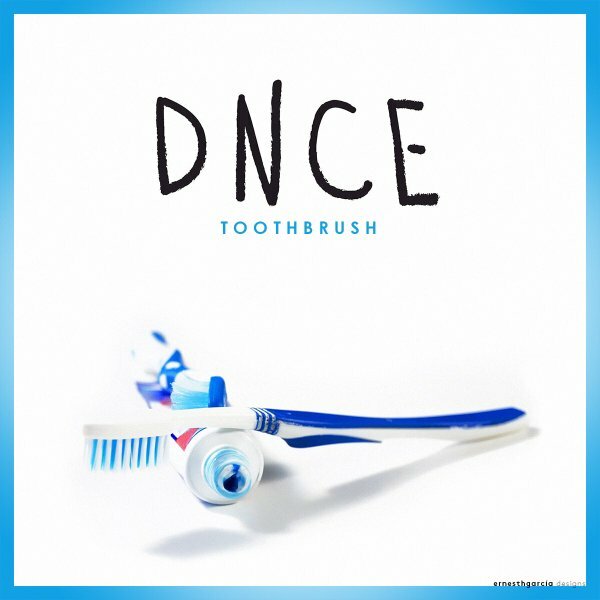 DNCE releases their second single from their debut EP. This Joe Jonas fronted band has already had a global hit "Cake By The Ocean", but instead of releasing new music and their potential new album, they have opted to release this instead. Perfect promotion for their upcoming album, it shows their diversity as a band. 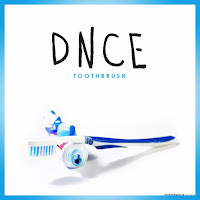 DNCE show the start of a relationship between Joe Jonas and Ashley Graham, pushing the boundaries of media concept, and showing the progression of a couple by suggesting to leave a toothbrush at his place. DNCE is a four piece band consisting of Joe Jonas, Jack Lawless, JinJoo Lee and Cole Whittle. They hit the scene with "Cake By The Ocean" that has charted well all over the world. This follow-up shows the diversity of the band, but it isn't a commercial success, unsurprisingly. More of a slow ballad, this Maroon 5 style song is nonetheless catchy, perfect for an EP or album track, and all right for a single, but I'll be surprise if they manage to promote it globally. The song was written by Ilya Salmanzadeh, James Alan Ghaleb, Joe Jonas and Rickard Göransson. Directed by Luke Monaghan, DNCE follows on from "Cake By The Ocean", again including a narrative and performance piece. Joe Jonas takes central character in the love story, as a frontman usually does. The love interest is played by actress and model Ashley Graham, the video has received acclaim because it presents a body-positive image, since Ashley Graham is a "plus-size" model. Quite dark and dank, the performance isn't as exciting as their first single. The band gels well together, that is clear and this ballad is performed well. It just has no energy behind it, but that may be due to the song. Ashley Graham and Joe Jonas are amazing actors, creating this beautiful relationship that feels completely real. Similar to Nathan Sykes' "Give It Up", this expands this relationship, proving that this is more than just sexual attraction. Overall, a similar feel to "Cake By The Ocean", and no doubt will get comparisons. More mellow and more of a story, this is a music video that will become a classic. Perfect in every way apart from the performance because of the song being more of a ballad. The narrative could've been a bit more in-depth, nothing surprising, just a sweet video.